Catherine Cooney brings over 20 years of experience in publishing and has written for magazines, newsletters and web sites. Her communications background includes social media and writing public relations materials for the World Bank and US AID. She has broad experience writing about government policy as well as international development and education. 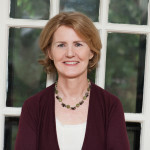 Catherine previously worked for the American Chemical Society where she edited the news section of the society’s leading environmental science journal, and managed a team of reporters. Catherine received her master’s degree in Journalism from Northwestern University, where she focused on urban development and politics. She also holds a bachelor’s degree in English Literature from the University of California, Santa Barbara. She is a frequent volunteer in her children’s public schools.